South Andros Island Parcel For Sale – The Bahamas – This South Andros parcel in the Bahamas on Kemps Bay is only 20 minutes away from the nearest international airport in Congo Town. 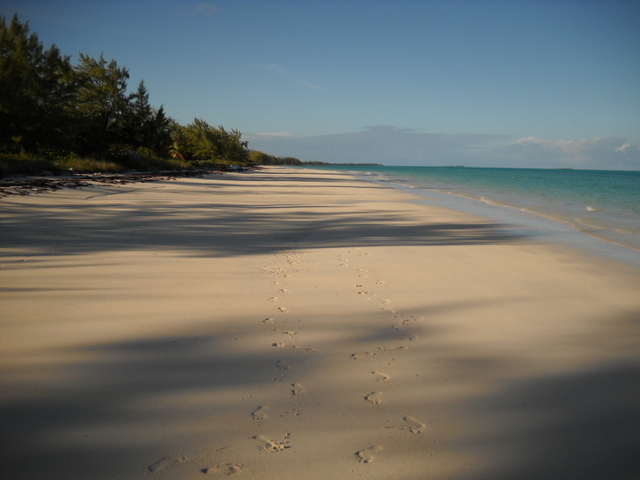 South Andros is 30 minutes by plane from Nassau and one hour from Miami, Florida. The property is approximately 6.8 acres with 420 feet of the most beautiful oceanfront and comes complete with two houses with permission in place to build more structures. The main house has 3 bedrooms, 2 bathrooms, 2 baths, a full kitchen, living and dining rooms, a sun room and a large covered deck. The second house has 2 bedrooms, 2 bathrooms, living and dining rooms, a full kitchen and a large covered deck. There is a detached 2 car garage with storage area and lots of beautiful surrounding trees including coconuts trees. Both houses have a complete set of appliances including washer and dryer, air conditioning and reverse heating. A large well house supplies water to both homes and the electricity is supplied by the Bahamas Electricity Corporation. Andros, Bahamas, Real Estate. Bookmark.